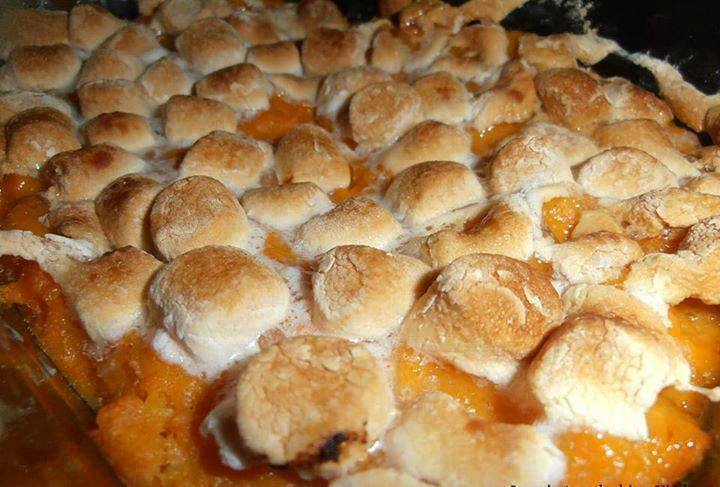 In a bowl, combine the mashed sweet potatoes, butter, both sugars, cinnamon or nutmeg, eggs and milk. Pour into a lightly buttered 9 x 13 casserole dish. Bake in a 350 degree oven for 15 minutes, remove and top with some marshmallows, don't go overboard like I often do, leave some room for them to puff up and expand. Return to the oven for an additional 15 minutes.